Depression is difficult to describe. It is a myriad of symptoms spanning the emotional, physical, relational, and spiritual. Is it physical? Is it emotional? Is it relational? Is it spiritual? Well…YES. All of the above. Do antidepressants help? Does talking help? Does making lifestyle changes help? Does addressing spiritual needs help? Does changing cognitions, confronting childhood pain, or taking hormone treatments help? Absolutely. All of the above. Or none at all depending on the person and circumstances. It is like a knot in a person’s hair…comprised of hundreds of strands…hundreds of origins…with many approaches to its relief. Depression also is not a box that you are “in” or “out”. It is a spectrum of places on a map with many, many possible locations. A person can be mildly depressed, majorly depressed, or circumstantially depressed. Or, all of the above at different points in a lifetime or a day. All that being said, here are some things you can do to relieve symptoms of depression TODAY. The list is not meant to be exhaustive. This list also is not meant to be used as treatment for a person with major depressive disorder or any other mental health illness. Someone facing major depressive disorder could be overwhelmed by such a list. Still, when working with clients who are struggling with depression they can almost be desperate for something they can DO…RIGHT NOW…to get some relief. This post is not meant to be a substitute for therapy or other professional help. Part of depression includes feelings of hopelessness and helplessness…an over all sense of powerlessness…of being stuck…trapped…with no way out. Perhaps, if you are struggling with a mild case of the blues today then you will find some information here that will help you regain some power…and with that some much needed hope. Also, I have provided “hyperlinks” throughout this article so that you can read more about certain topics. Just click on the highlighted links. Sleep issues (too much or not enough) and depression are common bedfellow. So much happens when we sleep. Our emotional experiences get filed away through our dreams. It is “clean up time” for our brain. Without sleep it is like walking around life with a cluttered mind and, like living in a cluttered house, THAT can be depressing! Sleep and serotonin production also have an important relationship. If you are unfamiliar with the role that some professionals believe serotonin plays in depression and many other symptoms read here and here. There is still a lot unknown about the connection. Many people struggle to fall or stay asleep. If you are getting little sleep or if your sleep is restless you are going to feel worse and possibly struggle with some depression. Talk to your health care provider about strategies for improving your sleep quality. Start with checking on your sleep “hygiene”. How do you put yourself to sleep at night? Kids need bedtime routines and to be tucked in. Adults do, too. There seems to be a connection between dehydration and feelings of depression. Drink up! I like to tell clients to “get out of their head and out of their house”. When you are depressed and anxious there can be a tendency to stay home and think. “If I think about this long enough then maybe I can figure this out.” It rarely works that way. Thinking, processing, and reflecting are all very good things to do, but not for all of the time. Get outside. Get some fresh air. Just ten minutes will do you a world of good. Most people have heard of SAD…Seasonal Affective Disorder. It inflicts people with feelings of depression during the winter months when there is less sunshine. If your part of the country has been dark and gloomy for days on end and you feel depressed then lack of sunshine could be the culprit. If the weather is nice and you feel down be intentional about exposing yourself to sunshine twenty minutes a day. When Your Body Gets the Blues by Marie-Annette Brown is a great book that expounds on this idea. I highly recommend it. If you live in an area where there is little sunshine available there are other things you can try. You can purchase a light box. Being outside on a cloudy day can still be helpful. Sitting in a room with a lot of sunlight streaming through windows can also be helpful. Certain vitamins are clinically proven to influence mood, particularly vitamin D3 and B vitamins. Talk to your healthcare provider about supplementing with these vitamins. Continuous exposure to noise is correlated with feelings of depression and anxiety. Whether that is the noise of the factory in which you work or the noise of your young children with whom you stay all day, the constant sound could be influencing your mood. If you argue that there is little you can do about these conditions you are probably right. However, this information itself can be empowering and explain a lot. Try setting aside and savoring ten minutes of quiet twice a day. These times might be in the morning on the way to work or in the evening after the kids are in bed. You might ask your spouse to stay with the kids while you take a quiet walk around your neighborhood or shut yourself up in the bathroom with earplugs. Whatever the method try cultivating some silence into your daily routine. Constant connection with a large group of people seems to lead to feelings of depression in some people. We tend to compare our situation with the glossy pictures posted. Perhaps we were never meant to stay up on the comings and goings of so many people from our past and community. Each day take extended breaks from social networks. Step away from your computer and put your phone down. Do an activity where it is almost impossible to use any electronic device such as washing dishes or folding laundry. In addition to cultivating silence, take a break from the networking noise that constantly bombards our mental processes. 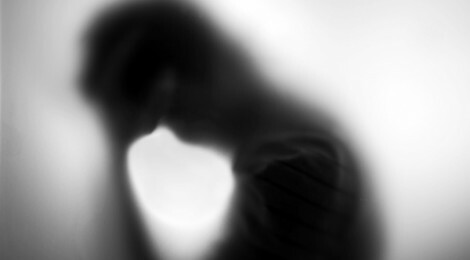 Ruminating, also known as over thinking, is connected to depression. Well, there is something about engaging our bodies that dis-engages our minds…in a GOOD way! Also, the physical exercise gets your blood pumping and oxygen delivered to your brain and other parts of your body. Studies show that even short amounts of exercise improves mood. Exercise seems to relieve symptoms of depression. Get moving! The lack of physical touch in adults can lead to feelings of depression. We live in a virtually connected, fast-paced world. Be intentional today and give some extra hugs. Talking to a trusted friend who is a good listener can relieve feelings of depression. Social connection is critical in treating depression. You don’t have to talk about anything “heavy”. Just reach out and make a connection. Friendships must be nurtured. Invest time in nurturing your social relationships today. Call a friend, send a note, write a quick text message. This daily habit will bring great rewards over the years. Involvement in a faith community wards off depression. No church or faith community is perfect. Pick one and be determined to show up for the weekly service on a regular basis. Praying and meditating on a daily basis offers a consistent, safe routine that brings comfort to the mind. Not sure what to say? Find a book of prayers offered by your faith community. If you are a Christian, the book of Psalms in the bible is a great place to start. Pray the words provided, making them personal for you. Mindfulness is a form of meditation that some find helpful. People struggling with feelings of depression sometimes use words like “stuck” or “trapped”. Sometimes a change in scenery or trying a new activity gives us a nudge out of ”stuck”. The new place or new activity sparks creativity, ideas, and dreams. We find that a situation that seemed hopeless is not hopeless at all. There are options we never even considered when we stayed within the four walls of our home. If you feel like you are at a dead end and there is no way out…no other options…take a short or long trip and see if a change in your literal perspective also changes it figuratively. A person who is depressed feels flat. It is like their mind and emotions are on lock down. Their emotions…positive and negative…are at low decibels. There is not much dreaming about possibilities. Ingenuity is absent. Dreaming awakens the mind and the soul. Take some time to deliberately practice dreaming. Make up a short story. Write a poem. Be creative. If you struggle to dream about your own future or possibilities, do it for a fictitious character for practice. Whatever gets your mind thinking outside the realm of ordinary and the expected…do it! Sometimes depression is a red flag. If we think about depression as this part of us…this part that isn’t out to get us, but really wants the best for us…it is easier to be curious about what this depressed part is up to. Often depression is trying to get our attention. It is alerting us to a part of our self that needs some attention, some care, some healing. It is like a child tugging at our skirts, pulling us down to whisper something in our ear: “Pssst. Hey. You. Have you noticed that you work really long hours and never have enough time to laugh and hang out with friends or even cry when you need to?” In order to explore the possible message depression is trying to get to you it can be helpful to journal. Journaling helps you be reflective and to get to know yourself better. Being an adult is like being your own mom and dad. You have to do for yourself all of the things your parents did for you when you were small. A child needs parents to be able to pay attention to their emotional need. It is difficult to parent a child and meet their needs if you do not know them very well. Journaling can help you get to know yourself where you are RIGHT now so that you can better parent yourself as an adult. Some of us are overworked and we are already giving too much of ourselves to others. We don’t know when to say no! However, sometimes we are so stuck in our own little bubble that the “fresh air” of a giving experience can be incredibly uplifting especially when the act of service is not asked for or expected. SOMETIMES depression can cause some self-absorption as we wrestle with our own pain. A simple act of service can give you a break from too much focus on your own “stuff”. Do something small for someone today who doesn’t expect it. Put a person’s shopping cart back in the store for them, pick up a person’s keys when they drop them. Find small ways to care for others that doesn’t run over your time, but speaks volumes to their heart and yours. Gratitude is a proven “upper”. Write a letter to someone expressing gratitude for who they are and things they have done for you and others. Arrange a time to deliver the letter and actually read it to the person out loud. Name three things that have been positive about your day. It could be that the sky was a pretty shade of blue at sunset or that your favorite show came on. The point is that these positive things do not have to be huge life events. Next, name one thing that has NOT been good about the day. You lost something important. You found out a friend betrayed you. You got sick. Next, name three things that could end up being good about that negative thing. Perhaps there is something to learn? Something good that COULD come of it? Use your imagination to lay claim to some positive end to the situation even if it doesn’t seem likely. Our minds sometimes fixate on negativity in the day to day. It is survival mechanism. When you remember something negative the hope is you won’t repeat it! That is all fine and good, but sometimes we need to identify and appreciate the positive things in life. This process involves training our minds to see the good. Try this exercise on a daily basis. It can be a great dinner time or ride-home-from-school conversation with kids, too. 19. Make a list..and then mark some things off! When you feel overwhelmed to the point of being depressed closure is a real “upper”. Make a list of things you want to get done…at work, around the house, etc. Choose one or two simple tasks and just do them. Then, whether you keep the list on paper or on your phone…actually mark it off. You may feel a surge of hope that propels you to get something else done. If not, no worries. Congratulate yourself on marking one item off the list and pace yourself for more tasks the next day. Laughter…even “fake” laughter…lifts mood. There is something to be said for “acting as if” you feel like laughing. Studies seem to indicate that smiling…even when you don’t feel like it…actually lifts your mood. So, try smiling at a few people around town and then rent a funny movie and set aside time to laugh. No other agenda. Just laughter. According to feng shui a person who is depressed will have more items laying around on the floor of their room. Well, it is true that a cluttered space is overwhelming and taxing on the mind as well as the emotions. As a symbol of cleaning out your mind, set aside time today to really clean your room. Throw away trash, pick up things from your floor, dust, vacuum. Then sit back for a few moments and enjoy the sense of uncluttered space. 22. Drink a cup of coffee. Coffee can worsen anxiety in people who already experience it, but studies indicate that women who drink coffee experience less depression than those who don’t. No need to over do it, but that is another reason to enjoy your cup of coffee in the morning! You may not be able to get in to see a therapist today, but just the act of calling a therapist to start the process of setting up an appointment can bring a surge of hope. Be ready to ask questions about their experience, fees, location, etc. Therapy is about investing in your mental, emotional, and relational health. You get a check up once a year (or you are supposed to!) for your physical body and twice a year for your teeth…doesn’t your mental, emotional, and relational health deserve that kind of attention, too? 24. Call your medical doctor. There are all sorts of conditions that can cause feelings of depression. From hormonal issues in women to chronic illness, depression is a side effect to many common conditions. There are many kinds of antidepressants available to help combat the symptoms. Studies seem to indicate that a combination of medication and therapy for treatment has the best outcomes. Call your doctor and make an appointment. Are you a martyr? Do you get a sense of identity for wearing yourself out for others? Or, maybe you are struggle with a addiction to the identity of achievement and workaholism. People in these situations sometimes carry with them low grade depression that many people do not see. Learn to say no. Do some honest self-reflection about why you say “yes” and remember that every time you say “yes” you are saying “no” to something else that could be meaningful for you…like time for family, friends, self-care…rest. Sometimes when struggling with depression a person can get “paralysis of analysis” and never try anything for fear of the “what if’s”. Here’s the thing…most “what if’s” aren’t the end of the world. Sometimes putting yourself out there, trying something new is a great way to get “un-stuck” and feel a renewed sense of hope in life. There is passive, there is aggressive, and there is assertive…simply saying what you need to say. Sometimes if we are overly passive we interpret assertiveness as aggression. There is a correlation between passivity and depressed feelings. In fact, women who are passive are often depressed, resentful, AND angry! Find a good book about communication and consult a therapist to learn more about how to speak the truth in love (Ephesians 4:15). There is something in therapy called “normalizing”. This approach is used when a person’s symptoms are made worse by thinking that they are far out of the range of normal. If it is true that some of what they are experiencing is normal, then it is very appropriate to point this fact out. The truth is that we can get depressed about being depressed! If you have experienced death, divorce, or any other major life event as well as stressful circumstances like mothering small children…it is probably quite normal for you to experience some depressed feelings. “Normalizing” your experience is not a magic wand that takes away the problem, but it can take the edge off. There is a type of therapy called REBT (rational emotive behavioral therapy). At risk of oversimplification, the gist is that depression and anxiety are the result of irrational beliefs we tell ourselves and live from. These irrational beliefs are often triggered by an event. Therapy involves identifying the irrational beliefs and triggers, confronting the beliefs, and changing them. While REBT works best with a trained professional, you can start the process by paying attention to your “inner dialogue”…the script running through your mind all day. What sort of beliefs do you hold to? Why do you do things? What do you find you telling yourself often? Write them down. Start observing yourself, your thinking, and your responses. Enlist the help of a trusted friend to evaluate your thoughts. Again, this part is often best done with a trained professional. Again, accompanying depression is a sense of hopelessness and helplessness…and overall sense of powerlessness. Sometimes life progresses and we struggle to retain meaning in life…in the pain, in the joys, in the day-to-day life of living. Victor Frankl, a holocaust survivor, believed that people survived even the most horrible of circumstances when they could find meaning in their existence…in the experience. Take some time to consider what God could be up to in your life and in the lives of those around you. This involves an element of trust in your Maker. How could this situation be seen in a different light? How could He be working all things out for good (Romans 8:28)? Or, where is the beauty in this darkness? What glimpses of hope and light do you see around you? Sometimes we can take life and ourselves TOO seriously. We can read too many touching, incredibly meaning stories and blog posts. We can watch one too many Hallmark movies. We can have one too many serious conversations. If you tend to lean towards the serious side of life, remember to lighten up. Invest some time into doing nothing of significance for a few hours. A great deal of significance might come out of them! I hope this information is helpful to someone. May it be a starting point or a resting stop on your journey. Dr. Emily Stone is a Licensed Marriage & Family Therapist in Charlotte, NC. Click to learn more about her practice, Hope & Healing MFT.